This whitepaper from Osterman Research shows which of the 5 types of awareness training has the best results. Well over 200 organizations were asked questions related to their awareness training, malware infiltration, and if their problems with phishing were worse, the same or getting better. 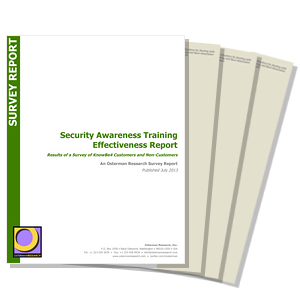 Research showed that an organization's Security Awareness Confidence Score varies significantly depending on the training type. Find out which awareness training approach correlates with improvement of the phishing problem.